IC-24s Saturday afternoons during the winter. We use spinnakers and offer professional coaching. IC-24s Friday evenings beginning in May without spinnakers. Hobie Waves Thursday Evenings throughout the year, which is fun for the whole family. Beginning sailors can crew with more experienced skippers and often take the helm for a race or two. ‘Round the Island races from December through May, usually involving a beach bar destination or party at the club. These are low key events that are fun for everyone. Racing Courses so sailors with some experience can become proficient enough to skipper or crew IC-24s. Racing Clinics for more experienced racers who want to move up in their fleets or perform better at regattas. International Regatta, the BVI Spring Regatta and others TBA. Your own regatta - If your club, group or organization wants to participate in its own regatta with or without a coach in every boat, just get in touch. We can schedule private regattas November through June. Even if you've never raced before, join us on any of the dates listed below and become part of a team. Racing will be videotaped with commentary and there will be a short instructional talk/ discussion afterwards. Videos will be edited and put on the website. Even if you've never raced before, join us on any of the dates listed below and become part of a team..
* STYC membership and boat access fee required for skipper. Every Week - no sign up required, all you need to do is be there! Arrive about 4 to rig, first start at 4:30. These are fun events that take you through and around the beautiful scenery in the Virgin Islands. They usually end with a relaxing party at a beach or the club. No experience necessary to crew in these events. STYC membership and boat access fee required to skipper an IC-24. Private sailboats welcome too! More races to be added. Watch this space! Fun parties, good music, great sailing, exceptional competition. The three day event from Friday, March 22 through Sunday March 24, 2019, includes as many as 12 races with a mix of windward/leeward and island races. Click on the image on the left to go the event website. Fee includes a ready to race IC-24 for the event and a practice day the Thursday before. Also included is a 30 day Bluewater Membership in the St. Thomas Yacht Club. Entry fee is extra. Call 340 690-3681 or email dave@stthomassailingcenter.com to book your boat. 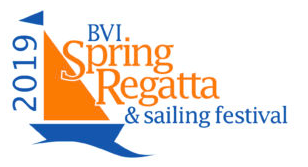 BVI Spring Regatta and Sailing Festival is a superb event! Nanny Cay is only a four hour sail from STSC. This three day event runs from Friday, March 29 through Sunday, March 31, 2019. Here is a link to their website, which has NOR, Sailing Instructions and accommodation options, among other useful information. Membership in the St. Thomas Yacht Club. Regatta entry fee and any applicable BVI entry fees are extra.